Lol, phone has been ringing off the hook today. There is no mistake the JUNE PROMOTION IS TRUE! 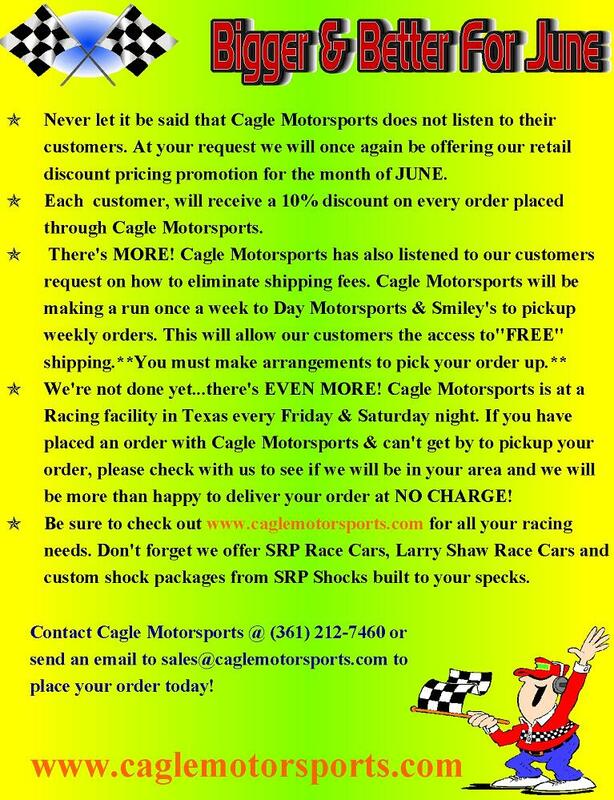 Cagle Motorsports is giving 10% off any purchase made through us for the month of June. IF WE SELL IT YOU GET 10% OFF!!! www.caglemotorsports for further infomation or you can keep the phone ringing @ (361) 212-7460.